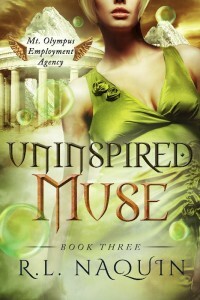 Bottle Cap Publishing is proud to announce the release of Uninspired Muse, the final book in R.L. Naquin’s Mt. Olympus Employment Agency: Muse trilogy. See our current releases for where to purchase the ebook and print editions. Uninspired Muse is the final book in the Muse trilogy, but not the end of the adventures at the Mt. Olympus Employment Agency. Which department will be next? Naquin says she’s still working on it. She knows that there are plenty of adventures left with characters her readers have already met. Jilly Bean is working in the Furies department, handing out their own unique brand of vengeance. Phoebe is in the Oracle department, envisioning the future. And Trina… well, who knows what the Fates are up to? In the meantime, Naquin plans to revisit the Cupid department with two novellas in 2017, and she promises more adventures with Patrice in the Undercover Gorgon stories. And who knows? Maybe Patrice will get a special collection when all is said and done. The first book in the Muse trilogy, Unfinished Muse, was released in 2015, quickly followed by Unamused Muse. Both are available in e-book and print formats. See our current releases. In 2017, Bottle Cap Publishing will be publishing even more books than last year! 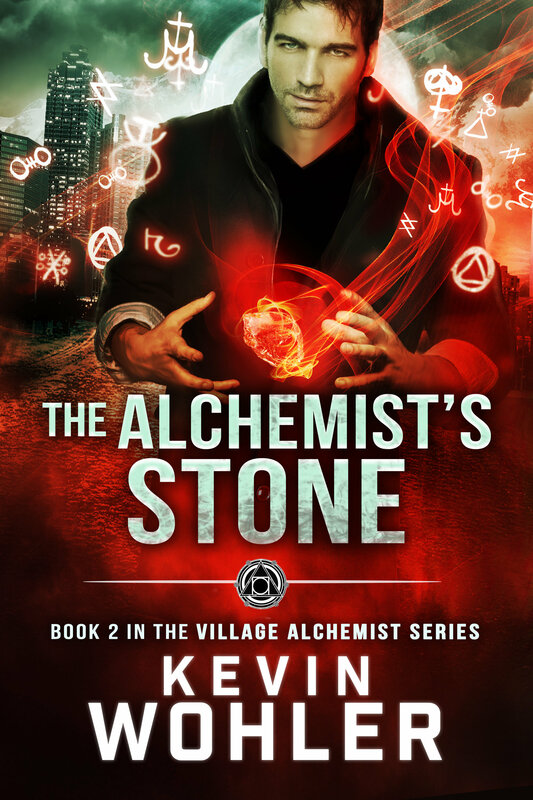 Until then, we’re teasing you with this gorgeous cover for the upcoming release of The Alchemist’s Stone, book two of The Village Alchemist series by Kevin Wohler. 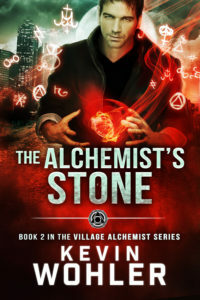 Picking up more than a year after the end of book one, The Alchemist’s Stone continues Malcolm’s quest to become a master alchemist by creating a philosopher’s stone, the great work every alchemist must achieve. He also needs to deal with new responsibilities and relationships in his life, including his apprentice, Danny, a young man with the power to transform elements with a simple touch. Designed by Clarissa Yeo at Yocla Designs, this new cover perfectly complements the artistry and adventure she brought to the cover of the first novel. The Alchemist’s Stone is the second book in The Village Alchemist series. It is scheduled for a 2018 release, and it will be available in ebook and paperback. 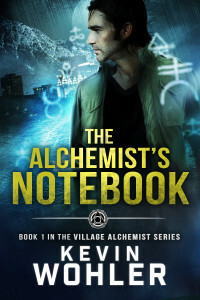 Bottle Cap Publishing is pleased to announce the publication of Kevin Wohler’s debut novel, The Alchemist’s Notebook, Book 1 of The Village Alchemist series. This contemporary fantasy novel is set in an alternate world where the three branches of magic (sorcery, mysticism and alchemy) are as well-established as physics, biology and chemistry. The story is a compelling blend of mystery and fantasy, with a fun cast of characters. The Alchemist’s Notebook is the first book in The Village Alchemist series. See our current releases.